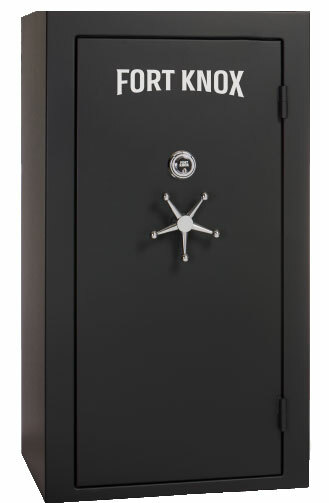 Commonwealth Vault & Safe Deposit Co. offers customized vaults, safe deposit boxes and locker units for items that do not conform to the space allotted for traditional safe deposit box offerings. We also offer locker space for firearms. Do you have valuables of unique sizes or shapes? Please contact us to get a quote for storage space tailored to your needs. Lockers currently in stock come with standard dual-entry key locks, please contact us regarding availability of lockers with number-pad combination locks. 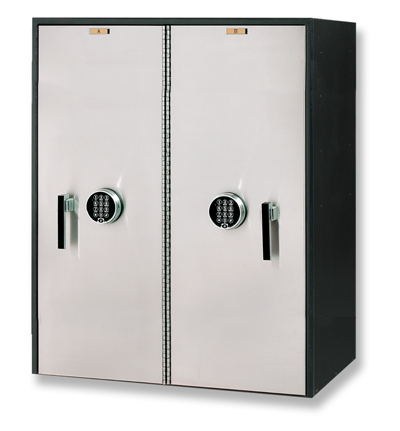 Cold-rolled steel with painted finish casing, formed steel door with stainless steel cladding over entire door face; includes one adjustable shelf in each locker. The largest vault in stock - approximately 46 cubic feet of storage space! 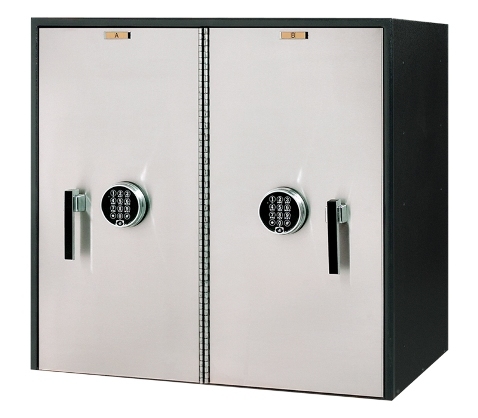 UL Listed, Reinforced Fire Door, 5 Spoke Clutch Drive Handle with combination lock; customizable interior space includes two shelves, three portable dehumidifiers inside the vault, and two dividers.